Join us as we Champion Diversity & Inclusion in the First State! We are excited to host the 2nd annual D & I Conference and Award Luncheon on Tuesday, July 10th at Dover Downs. We desire to honor organizations that are spearheading the way and have implemented D & I programs in their companies. Come learn best practices in the D & I arena from leading organizations in Delaware, in our morning and afternoon workshops. 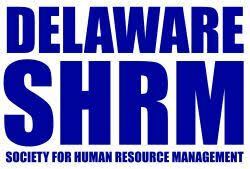 SHRM and HRCI credits are pending for this event! In addition, your organization could be one of the honorees at this memorable event. Just complete the Nomination Form. The D & I Conference invites sponsors and exhibitors to also support our efforts. As an added bonus, register as a sponsor for the 2018 Diversity and Inclusion Conference and Awards Luncheon and receive $200.00 off sponsorship at the Delaware State SHRM Conference to be held November 1st and 2nd at Dover Downs. Why not Spend the Night? Come the Night before and beat the traffic! *Reserve room by June 19th to receive special rate.